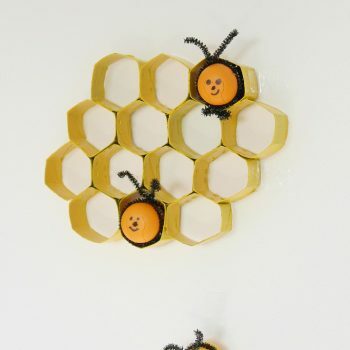 Turn empty Kinder egg shells into adorable bees. 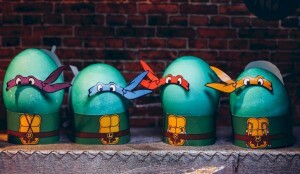 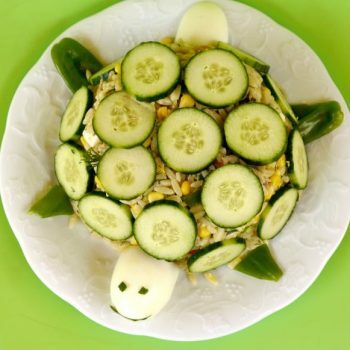 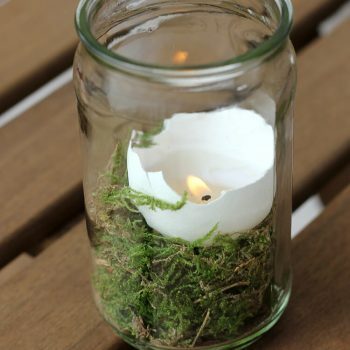 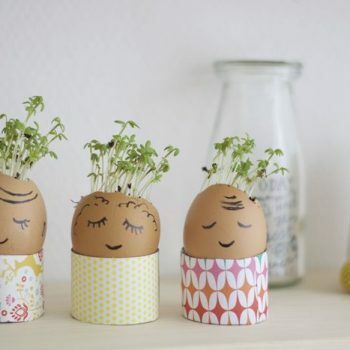 What a cute way to recycle! 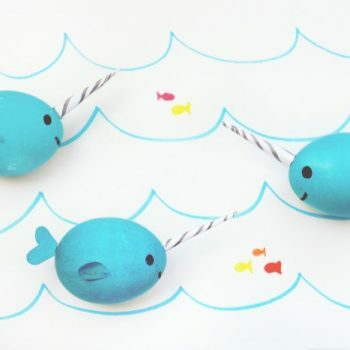 Turn your dyed eggs into narwhals! 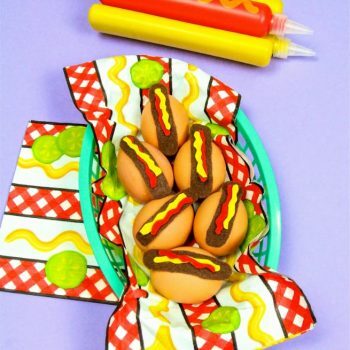 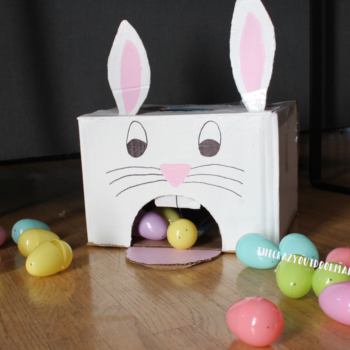 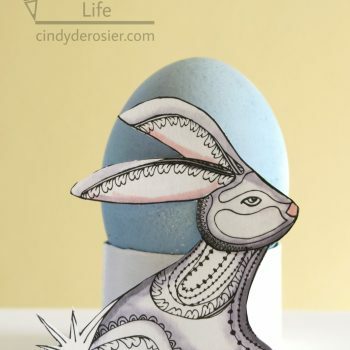 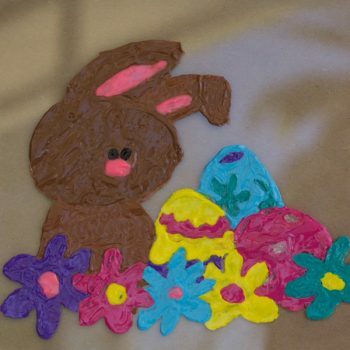 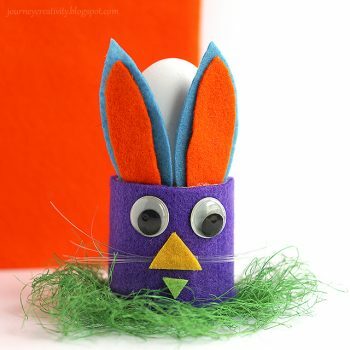 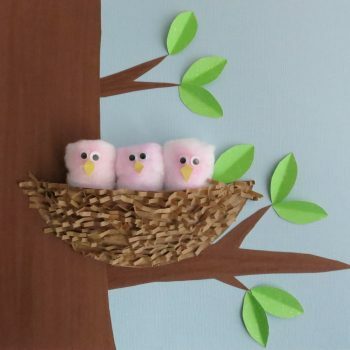 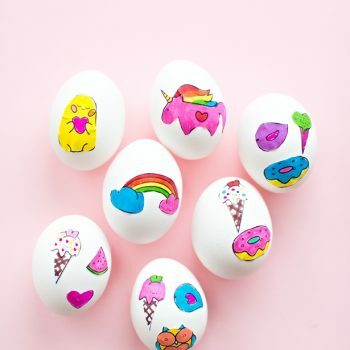 This fun Easter craft is really easy and couldn’t be cuter! 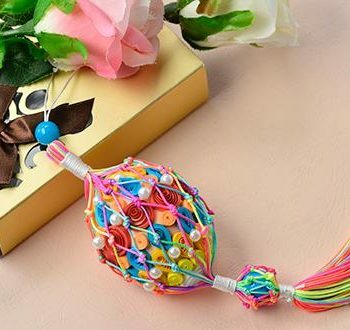 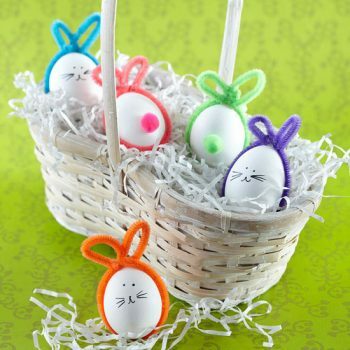 Decorate for spring with these easy string Easter eggs! 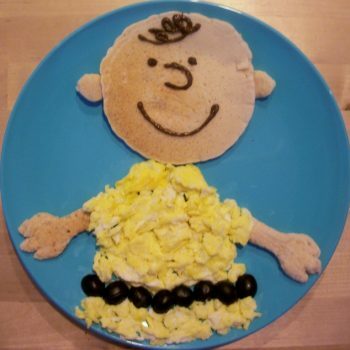 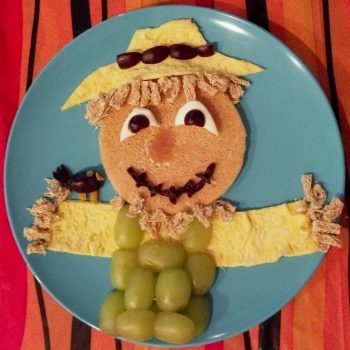 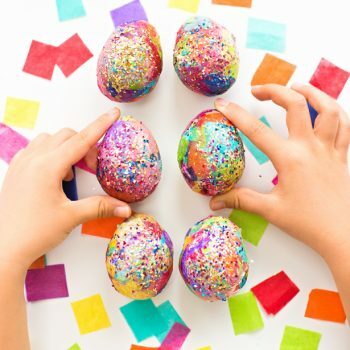 They’re lots of fun to make with kids. 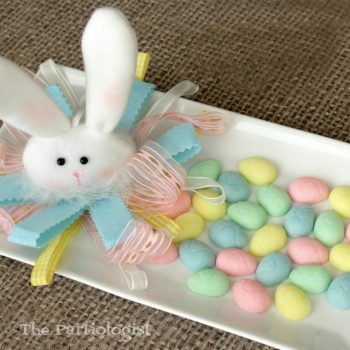 Add soft and delicious Easter Egg Cream Cheese Mints to your Easter menu! 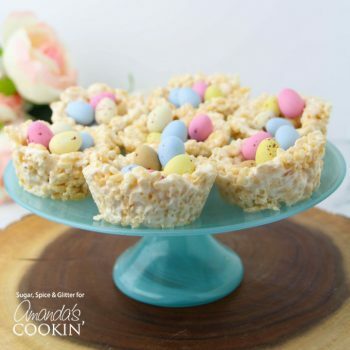 Nothing says spring like these adorable Rice Krispie Nests! 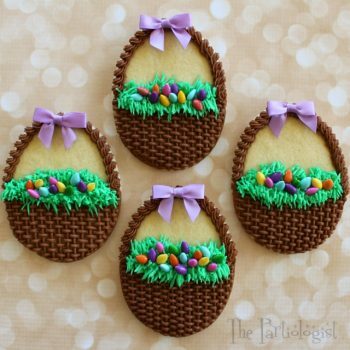 And, of course, they taste as good as they look. 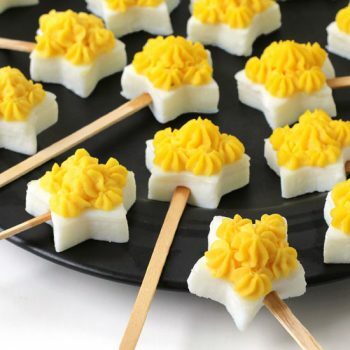 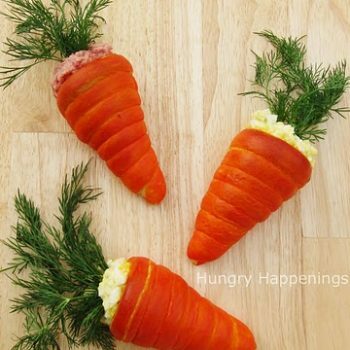 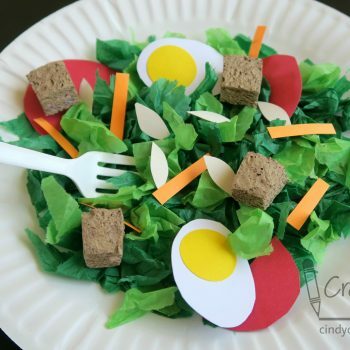 Here’s an edible craft for winter that’s healthy and fun! 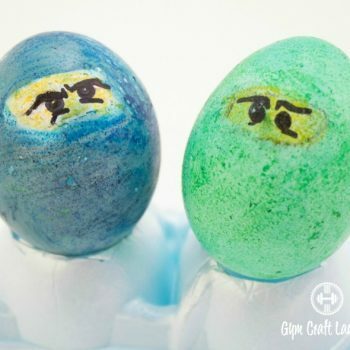 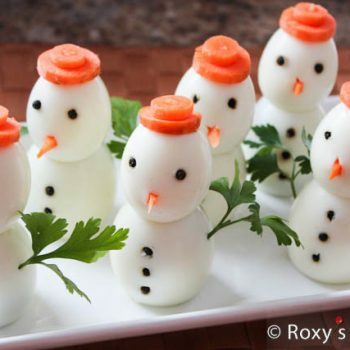 Make these cute snowmen from hard boiled eggs. 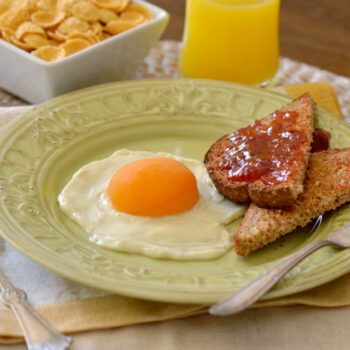 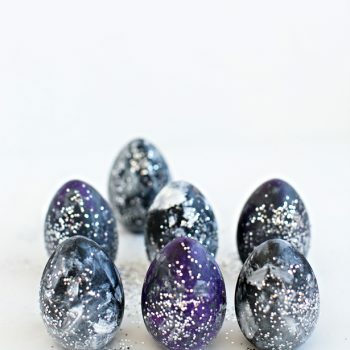 Make these out-of-this-world space eggs with just a few simple items. 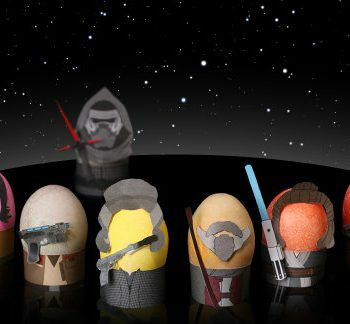 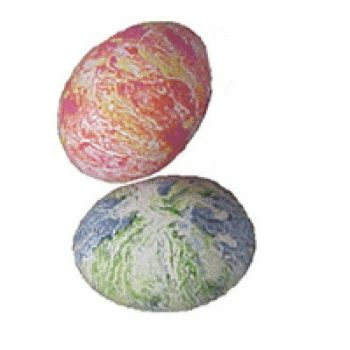 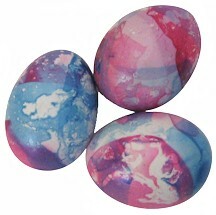 They’re so different from the usual dyed eggs. 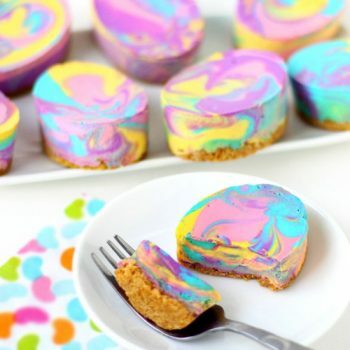 These brightly colored tie-dye cheesecakes are shaped like Easter eggs. 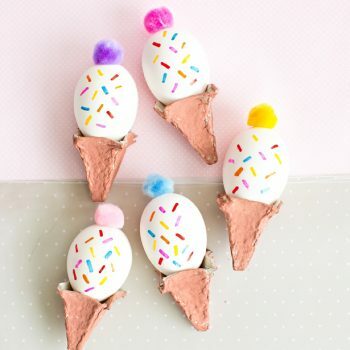 What a groovy treat to enjoy this spring! 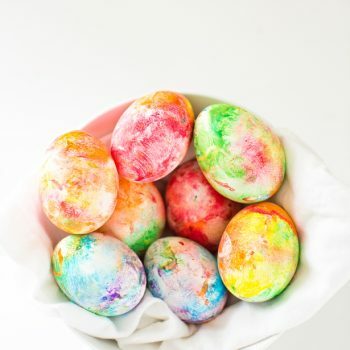 Make these gorgeous rainbow marbled eggs in minutes. 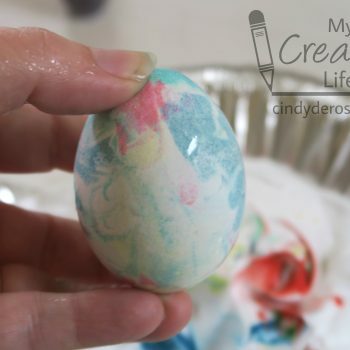 The secret is shaving cream! 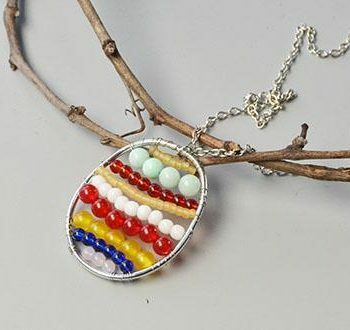 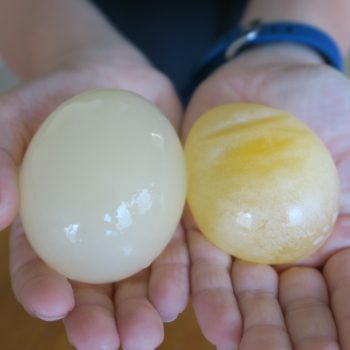 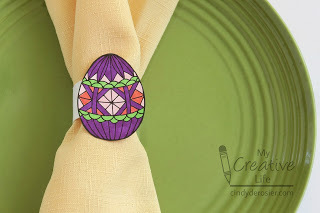 Ordinary nail polish turns plain eggs into beautiful faux stained glass! 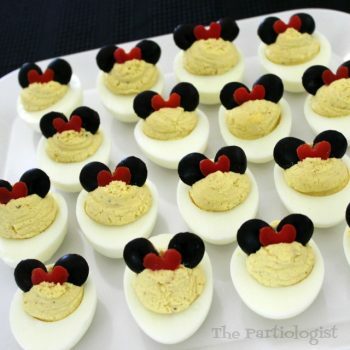 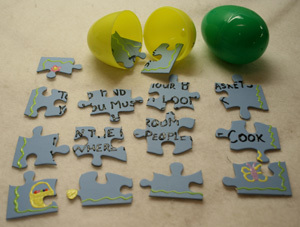 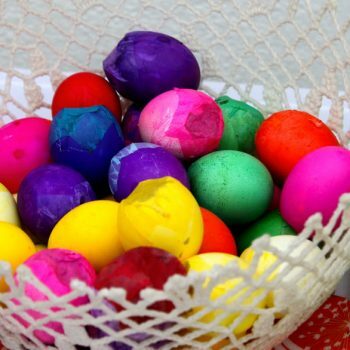 Note: The colored eggs cannot be eaten. 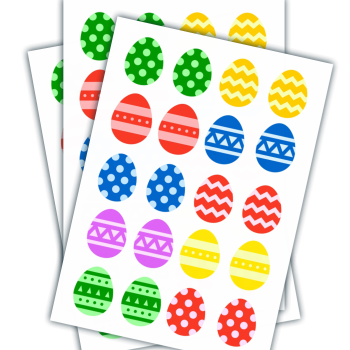 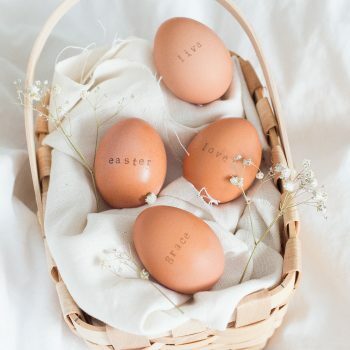 Use the printable to make these stickers for Easter eggs. 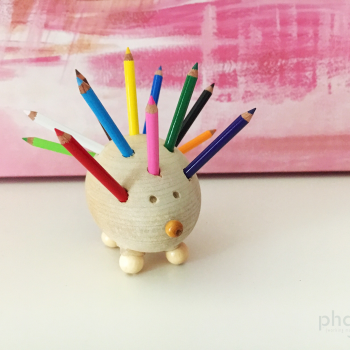 Just color, cut, and stick! 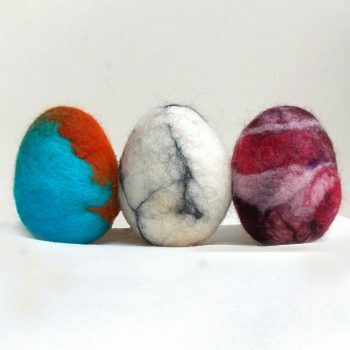 Make unique and colorful Easter eggs with felted wool. 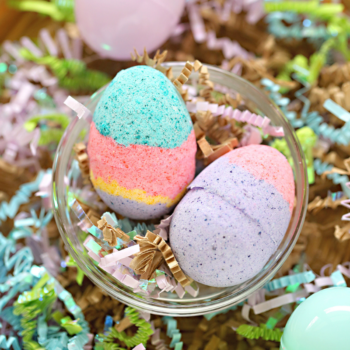 It’s easy and fun and the results are so pretty! 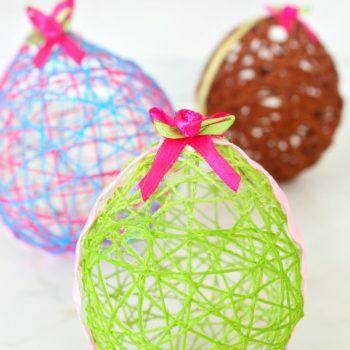 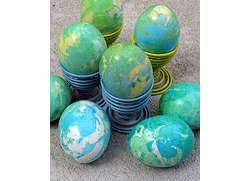 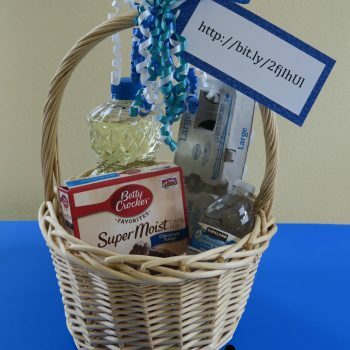 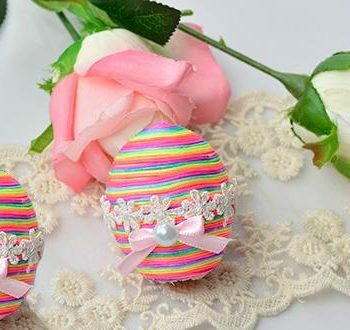 Use cords, lace and ribbon to decorate plastic eggs for Easter. 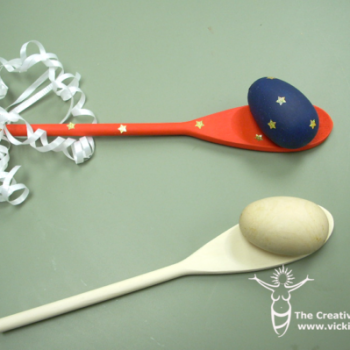 They are easy to do with many creative possibilities. 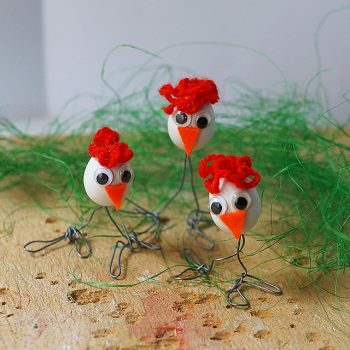 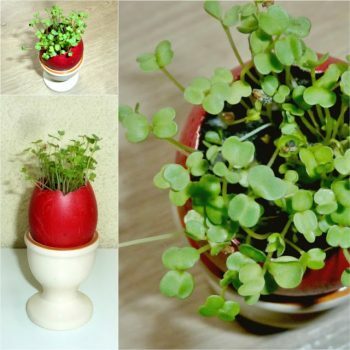 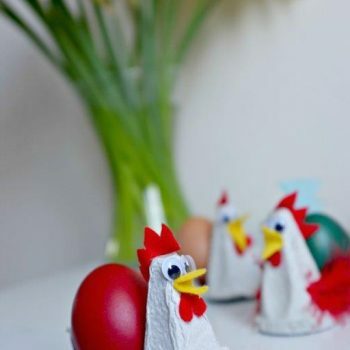 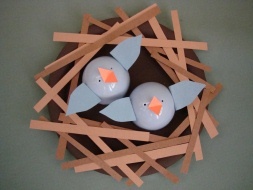 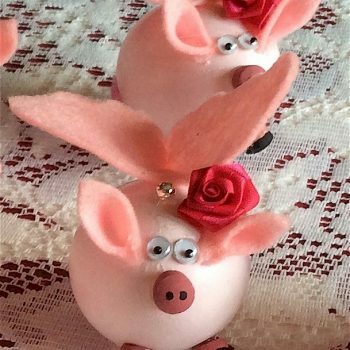 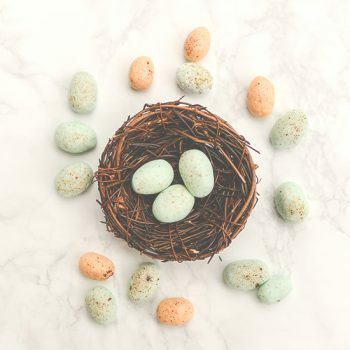 These miniature egg chickens make a fun and whimsical decoration for Easter. 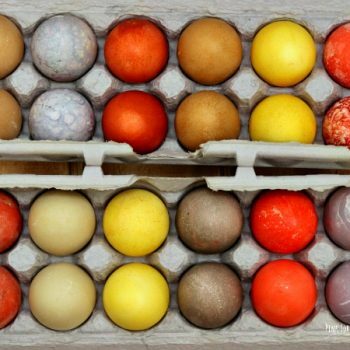 Styrofoam eggs make it easy. 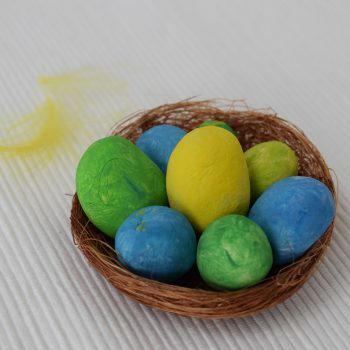 Use crayon shavings to color Easter eggs this year! 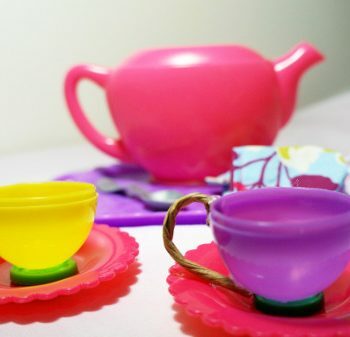 It’s easy to do and a fun way to repurpose broken crayons.